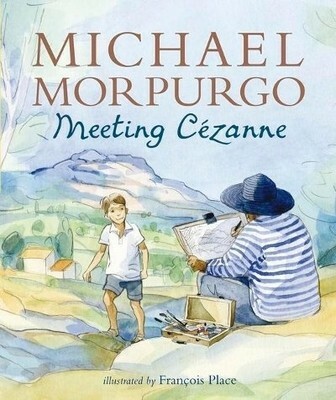 I had heard a lot about Michael Morpurgo and his books before I started reading “Meeting Cezanne”. I now know why both kids and adults love him and his works the way they do. There is something about the way he unfolds a story. It transcends age. Both adults and children can read his works and feel that gooey, buttery feeling and be happy, even if it means that happiness is temporary. A reread will transport you back to the feeling nonetheless. If that is what one Morpurgo book could do to me, then I am definitely reading all that he has to offer. “Meeting Cezanne” is for young readers. The setting is 1960s. It is about a ten-year-old boy Yannick, who has to stay with this aunt, uncle and cousin in the South of France, as his mother needs recovering from a treatment. Provence is the place to be, or so the paintings of his mother’s beloved Cezanne say. It is paradise on earth and all of it. Yannick is hesitant to stay with his Aunt Mathilde and yet in the process, he waits tables at his aunt and uncle’s restaurant, he befriends his cousin and makes an amazing discovery about an artist who regularly visits the restaurant. The discovery is made when he accidentally destroys a precious drawing. This is the plot of the book. Now to the way the writer and the artist have presented it to the reader. The writing is very simple (but of course, since it is written for children). The illustrations by Francois Place are just perfect and one just wants to constantly gaze at them, way after the book is done with. You will most certainly finish reading the book in less than an hour or so. I think the beauty of this book is that its appeal is so vast and also the fact that anything told so simply has no choice but to be beautiful. “Meeting Cezanne” is a perfect monsoon read for children and adults alike. This entry was posted in children's fiction, Penguin UK, Review, Walker Books and tagged Cezanne, children's fiction, Meeting Cezanne, Michael Morpurgo, paris, Penguin UK, Provence, Walker Books on July 30, 2014 by thehungryreader. I have always wondered what it is about children’s stories that immediately draw me to them. The need to read almost all of what is written in that genre and still crave for more. It is always so calming – the reading of stories written for children. At one point or the other, it almost makes you want to believe in everything and everyone – all over again. It makes you want to be a child – all safe and sheltered. 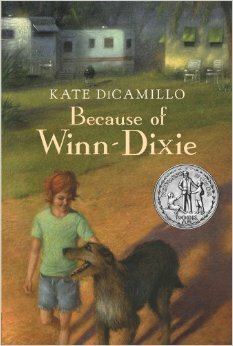 “Flora & Ulysses” by Kate DiCamillo is one such book I stumbled on this year and I cannot be gladder than having read it before the year ended. 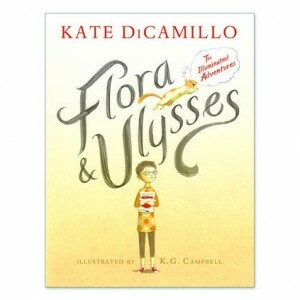 “Flora & Ulysses” is about an eleven-year old girl, who is a cynic and a squirrel with superpowers. It seems wonderful, doesn’t it? It is more wondrous than it sounds. It all begins when a squirrel gets sucked into a Ulysses vacuum cleaner (hence the name), almost dies and survives because of Flora and before you know it, he has acquired super powers (which I will not discuss here) and also an archenemy that must be stopped. Besides this, the squirrel knows how to type and write poems (he loves poetry after all). In all of this, there is Flora’s neighbour, her parents (divorced and estranged), a lamp most hated and a boy who will not remove his sun glasses, because he thinks he is blinded. To read such a story is always heart-warming. I could see myself fawning over the characters just as soon as I began the story. The book is all about hope and love and a heart that can change. To me, the book was just right and came to me at the right time, when probably I was in danger of becoming a cynic. Sometimes you need the required optimism and belief from other sources and what other way to get it than through a wonderfully written book of young children, squirrels with superpowers and characters who want to change the world – one day at a time. 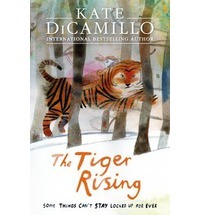 This entry was posted in Books, children's fiction, Penguin Books, Review, Walker Books, Young Adults and tagged children, Divorce, family life, Flora & Ulysses, growing up, humour, Kate DiCamillo, marriage, Squirrel, superpowers, Walker Books on December 13, 2013 by thehungryreader.